Iva Jane Taylor, 91, of Manchester, Iowa, passed away on Sunday, August 12, 2018, at Marietta’s Place in Manchester. She was born on November 29, 1926, in Greeley, the daughter of Herman and Maria (Schade) Meyer. 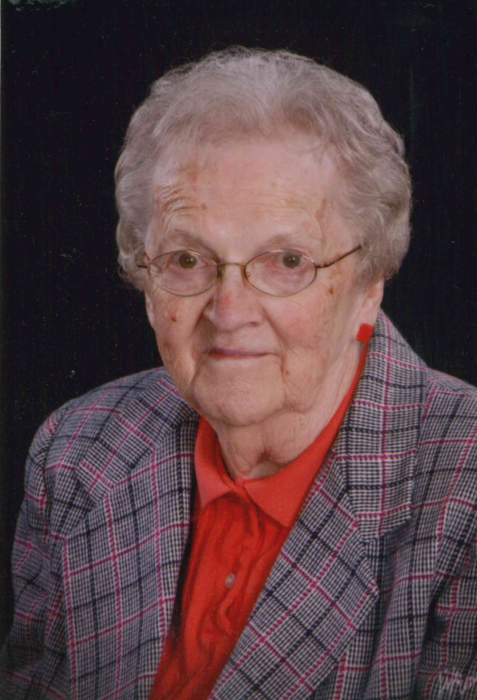 Iva was raised and educated in Delaware County and graduated from Earlville High School in 1944. After graduation, Iva worked as a cook at the Delaware County Home. On October 22, 1950, Iva was united in marriage to William “Bill” Taylor at St. Paul’s Lutheran Church in Delaware. Three children were born to this union. The family resided in Manchester. Bill died in 1963. Iva remained in Manchester and worked as a cook for the West Delaware Schools until her retirement. Iva was a founding member of Our Savior Lutheran Church. She enjoyed music and sports, especially bowling. Iva was an avid fan of the Chicago Cubs and the Iowa Hawkeyes. Survivors include her three children, Debra (Dennis) Walker of Burlington, David (Donna) Taylor of Pickerington, Ohio, and Kevin (Chris) Taylor of Fairview, North Carolina; six grandchildren, Keri (Rob) Grandstaff, Aaron (Elizabeth) Taylor, Zachary (Paige) Taylor, Karlee (Jacob) Hill, Anne (Jamison) Stump, and Emily Walker; seven great-grandchildren; one brother, Ervin Meyer of Manchester; and many nieces and nephews. Iva was preceded in death by her parents; her husband, Bill Taylor; two brothers, Arnold, during WWII, and Hugo Meyer; and six sisters, Irene Meyer, Wilma Meier, Edna Meyer, Hattie Burmeister, Norma Hugh, and her twin, Ila Meader. In lieu of flowers, the family requests that memorials be made to Our Savior Lutheran Church or the Good Neighbor Home.